The trapizzino, invented by Italian pizza master Stefano Callegari, is a delicious mashup of Roman-style pizza bianca and a crusty sandwich roll. For your next game-day party, ditch the supermarket burger buns and sub rolls and make sandwiches with the pizza pockets of your dreams. Using a high-hydration dough made with bread flour creates pizza with an extracrisp crust that's still both tender and chewy. Cold-fermenting the dough overnight produces complex flavor and an even rise. Folding the dough incorporates air (for a more even crumb) and eliminates excess carbon dioxide (which can inhibit yeast activity), while also strengthening its gluten network (for better chew). Finishing baking the pizza directly on a baking stone gives it a crisp and well-browned bottom crust. For the Dough: Combine flour, salt, and yeast in large bowl and whisk together until homogenous. Add water and stir with wooden spoon until no dry flour remains, about 2 minutes. Add 40g (1.4 ounces; 3 tablespoons) olive oil and stir to incorporate, using hands if necessary to work oil into dough. Transfer dough to a clean large bowl that has been lightly greased with olive oil; cover with plastic wrap, and let rest at room temperature for 1 hour. Transfer dough to clean surface dusted with flour; dust your hands and dough with flour. Pat dough into large rectangle, with long sides of the rectangle parallel to countertop. Gently pull the upper long edge of the rectangle, stretching dough, and fold it into the middle of the rectangle. Then gently pull the lower edge, and fold it into the middle of the rectangle. Pinch these folded edges together to seal them together, forming a seam. Rotate dough 90 degrees, and repeat folding and sealing process. Rotate dough 90 degrees and repeat once more. Cover dough with a clean kitchen towel and let rest for 15 minutes. Repeat this entire folding process once more, for a total of 6 folds. Place dough seam side down in lightly greased large bowl. Lightly drizzle dough with olive oil, and use your hands to gently rub it over the surface. Cover tightly with plastic wrap, and refrigerate for at least 18 hours or up to 3 days. Baking the Pizza: Remove dough from refrigerator and let sit at room temperature for 10 minutes. 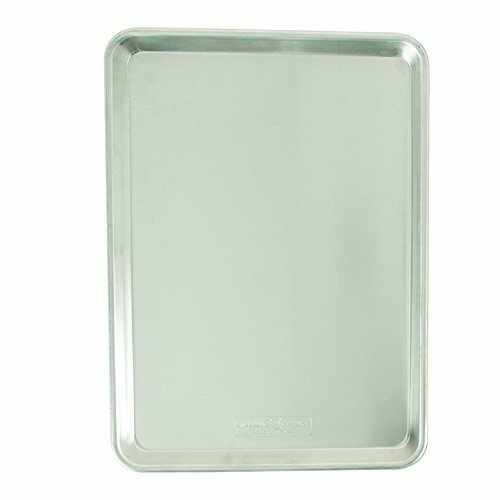 Lightly spray 13-by-18-inch rimmed baking sheet with vegetable cooking spray; pour remaining 40g (1.4 ounces; 3 tablespoons) olive oil onto baking sheet and spread over entire inner surface (including rim) with your hands. Transfer dough seam side down to prepared baking sheet, and spread gently with your hands to mostly fill the pan (don't worry if dough doesn't fully stretch to edges). Lightly dust surface of dough with flour, cover with clean kitchen towel, and let rise at room temperature until dough is very soft and puffy and nearly doubled in volume, 1 1/2 to 2 hours. One hour before baking, adjust oven rack to lower-middle position. Place baking stone or Baking Steel on it , and preheat oven to 550°F (290°C). Using floured hands, gently push and stretch dough into corners of the pan by pressing out from the center. Divide dough into 8 equal-sized rectangles by first drizzling olive oil to trace outline of pieces, and then use bench scraper to cut dough along the lines. Drizzle more olive oil over top of the dough, and use hands to gently rub over entire surface. Sprinkle with coarse sea salt. Transfer entire baking sheet with dough to oven, positioning it on top of baking stone. Bake until dough is cooked through and top surface of pizza is burnished golden brown, about 16 minutes, rotating baking sheet halfway through baking. Let pizza cool in baking sheet on wire rack for 5 minutes; use spatula to separate pieces. When ready to serve, return pizza pieces to oven to bake directly on baking stone until bottom crust is evenly browned and crisp, about 4 minutes. Transfer to cutting board; cut each piece in half diagonally, and then cut slit down middle of the now-exposed interior of each pizza triangle to form a pizza pocket. Stuff pockets with fillings of your choice, and serve immediately. 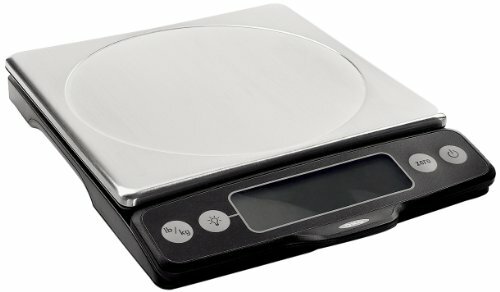 For best results, use a digital scale set in grams to measure ingredients. Trapizzini can be stuffed with any number of fillings. If you want to keep things Italian, meatballs and sautéed broccoli rabe make for excellent sandwich stuffers. Or get wild, and fill your pockets with something like Texas-style chili. The dough can be made and stored in the refrigerator up to 3 days in advance.